June 3, 2010: A Soviet robot lost on the dusty plains of the Moon for the past 40 years has been found again, and it is returning surprisingly strong laser pulses to Earth. "We shined a laser on Lunokhod 1's position, and we were stunned by the power of the reflection," says Tom Murphy of UC San Diego, who leads the research team that's putting the old robot back to work. "Lunokhod 1 is talking to us loudly and clearly." "Three hours after reaching the Moon aboard the latest unmanned Russian Moon probe, Luna 17, Lunokhod I (literally "moonwalker") lumbered down one of two ramps extended by the mother ship and moved forward … thus taking the first giant step for robotkind on another celestial body." 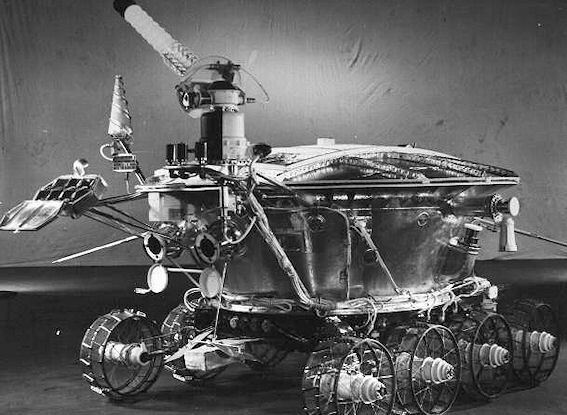 Then Lunokhod-1 was lost – until last month when NASA's Lunar Reconnaissance Orbiter found it again. The recovery is described in an earlier NASA press release. Back in the late 1960s and early 1970s, Apollo astronauts placed three other retroflectors on the Moon to allow laser ranging of the Moon's orbit. Assisted by a fourth reflector on Lunokhod 2, a twin of Lunokhod 1 that landed in 1973, these mirrors constitute the only Apollo science experiment still operating. Eric Silverberg, now retired from the University of Texas, was in charge of the lunar laser ranging activities at the McDonald Observatory from 1969 until 1982. "During that time," he recalls, "we successfully ranged all three of the Apollo corner reflectors and the Lunakhod 2 reflector. We also tried to range on the first lunar rover but had only one possible (but not definite) detection on Dec 31, 1970. Our lack of knowledge of the location of the rover and the pressures of keeping up with the Apollo program caused us eventually to lose interest in Lunakhod 1." "This reflector is even strong enough to let us get measurements in lunar daylight – a first for this experiment!" Silverberg continues: "The fact that Lunokhod 1's reflection is now stronger than that of its twin is a mystery. 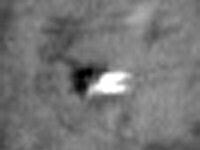 This may yield important clues as to why all of the reflectors are weaker than in the first decade after landing." With Lunokhod 1 back in the fold, the laser ranging study can get up to full throttle for the first time. The scientists are using laser ranging to push hard on Einstein's gravity theory "to see if we can break it," says Murphy. 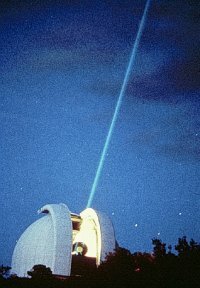 "Our telescope shoots out laser pulses that travel from Earth to the Moon and ping the reflectors. Because these are all 'corner-cube reflectors,' they send the pulse straight back where it came from. We scoop up as many of the returning photons as possible." The round-trip travel time pinpoints the Earth-Moon distance. With repeated measurements, over months and years, the scientists can trace the Moon's orbit with millimeter precision. Einstein's theory of gravity (the Theory of General Relativity) holds that the mass and energy in massive objects like the sun make space curve, and this curving tells objects around the massive body how to move. The curvature actually makes the Earth and Moon fall toward the sun. By measuring the Moon's fall through curved spacetime, the Apache Point Observatory Lunar Laser-ranging Operation--APOLLO for short--may yet find a crack in Einstein's great edifice of General Relativity. That's how science moves forward. So far, lunar ranging results support Einstein. But a funny looking old rover may shine, or at least reflect, new light on the subject.